showing texture in photographs | Phil – Refuelled! This was a sight in my garden this afternoon. 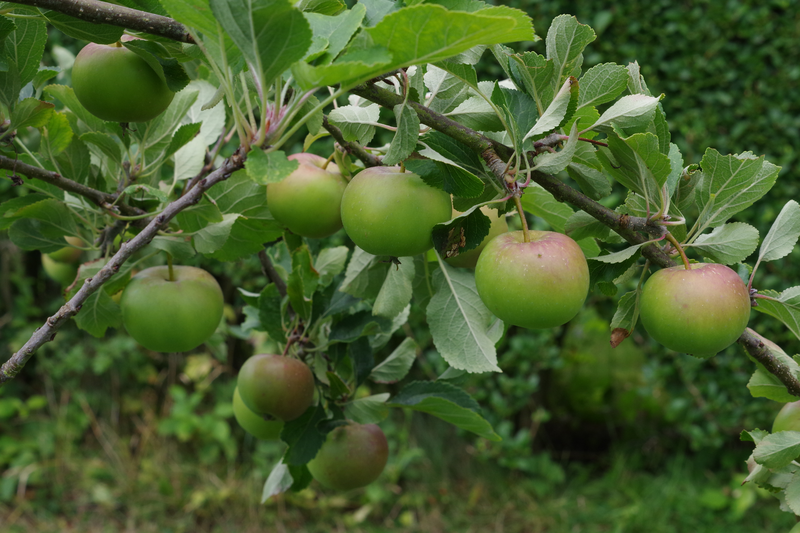 How quickly the seasons seem to revolve – or is it just that I’m getting old? I didn’t plan it this way, but I rather like the way the light shows the texture of the apple skin, and also how the apples make two lines leading up to one in the top left corner. 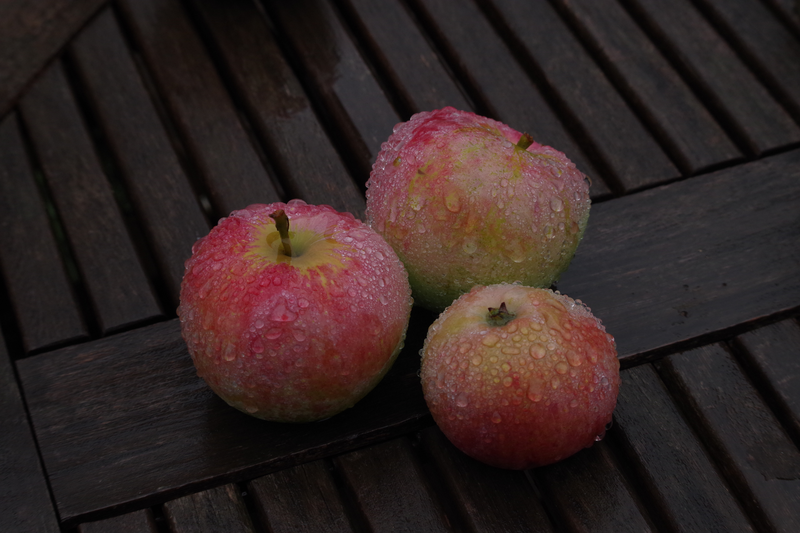 Oh, and yes, there’s still a good bit of summer left! I love the challenge of portraying textures in a photo – it isn’t always easy! 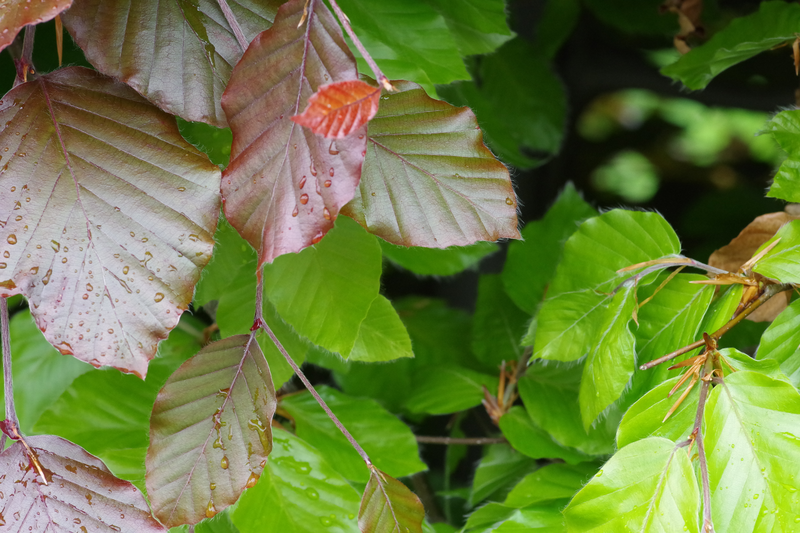 Here, yesterday, I spotted these beech leaves. This hedge is made more interesting by the presence of one copper beech among all the other ordinary ones, which only augments the contrast between the glossy flat upper surfaces, and the fluffy, hairy edges of the youngest leaves. Nature is fascinating. 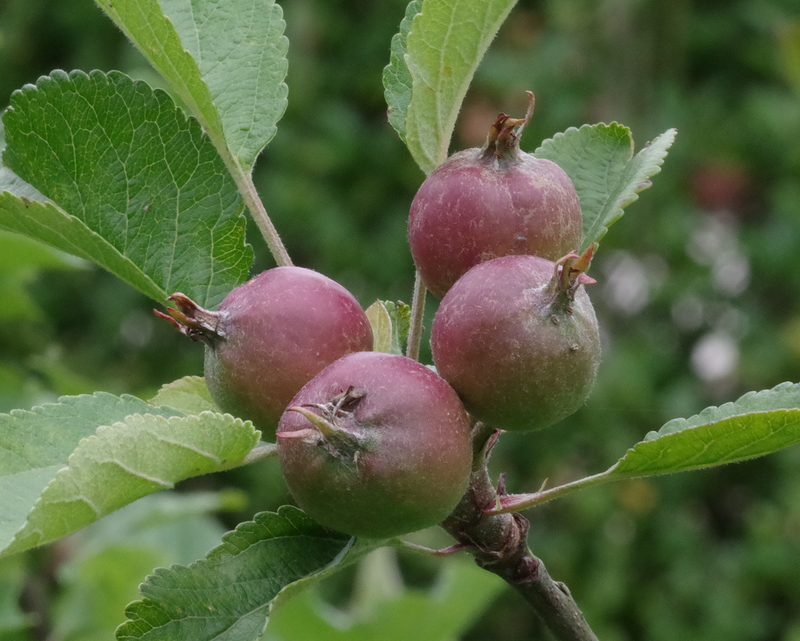 Looking round my garden yesterday (June 18) I was glad to find these baby apples starting to swell. I’m hopeful of a good crop this year. From a photographic point of view, though, I love it when I can successfully capture some sense of the texture of something – in this case, that slight furriness, left from when the flower dies back to leave the beginnings of a fruit. Try clicking on the picture to enlarge it, and I think you’ll see what I mean. I’m not always successful, mind!